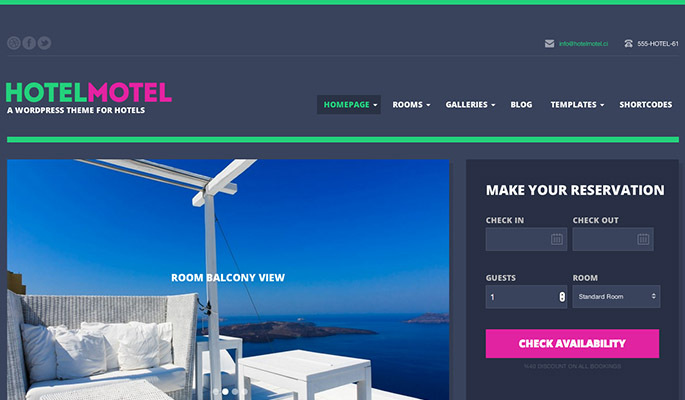 HotelMotel is an outstanding theme that gives you the possibility to showcase your hotel or house rooms that you want to advertise for rent. Thanks to an integrated booking form people can easily book the rooms and you don’t have to worry about anything. Having such a website is really important to give people the possibility to check out some pictures and get information about the owner to build a good relation which will increase revenue for you.